Below is a list of the FIA's Formula One Technical Regulations I have accrued, I do have a couple from the modern era missing (1995,1996) so if you have them please get in touch. I'm also always eager to get hold of ones pre-dating 1994 but these are in hard copy and not digital media so are much more difficult to come by. I have 1973 & 1976's Yellow Books which I will be copying and adding to this database as soon as possible. 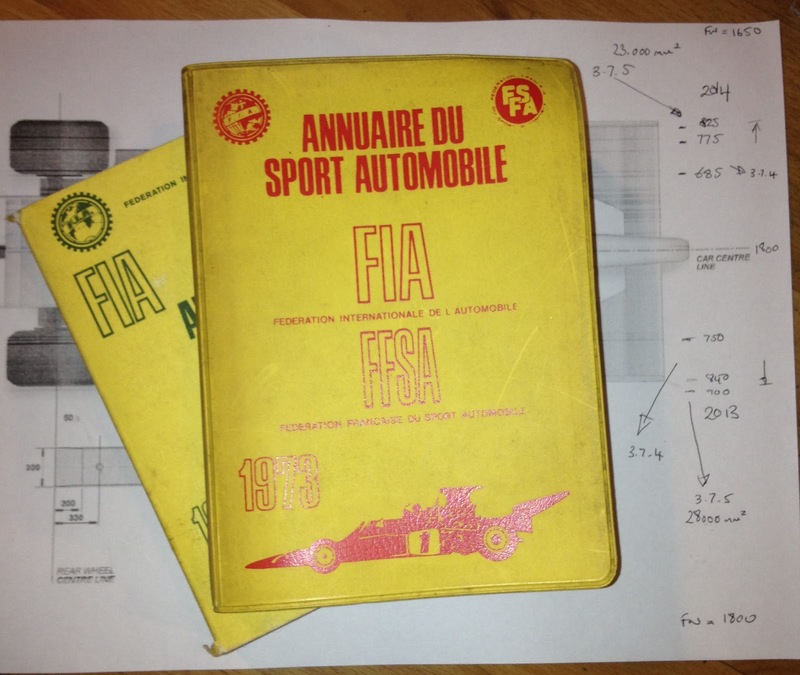 I've now also added the 1988 regulations with a special shoutout to Carlos Funes (FIA Delegate) for acquiring them. Wow...That was a really awesome post. Your post have really helped me know the evolution of Technical regulations of F1. Thanks again. Thanks for this article and the blog. It's very useful for F1 lovers. Is there a possibility to get a hand on the 1977/78 regs?